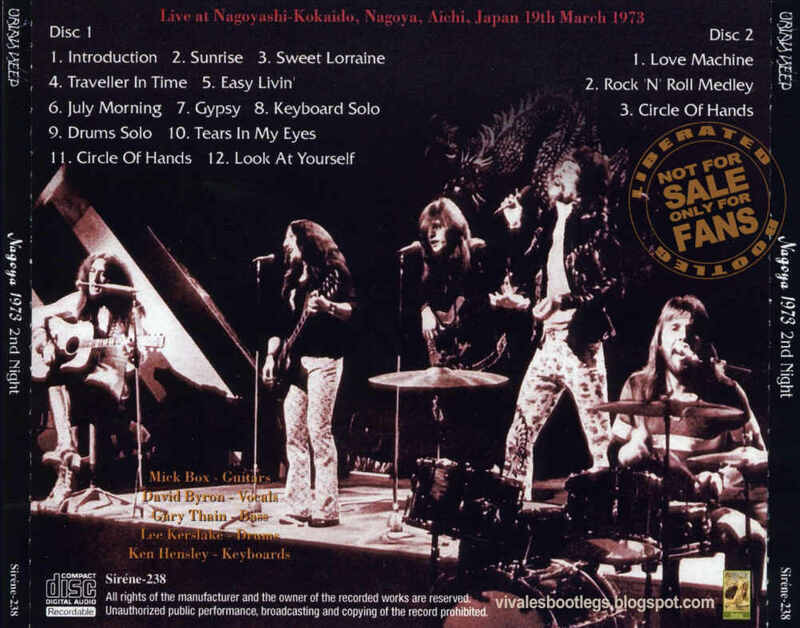 Recorded Live at Ngagoyashi Koukaido, Nagoya, Japan - March 19, 1973. Good Audience Recording :: Japanese CDR Bootleg :: CBR 320 kbps. Files: 15. :: Size: 215,59 MB. Personnel: David Byron – vocals :: Mick Box – guitar :: Ken Hensley – keyboards :: Gary Thain – bass guitar :: Lee Kerslake – drums. Notes: For years, Nagoya 1973 was traded as a good sounding (low gen) recording with an incomplete version of "Circle Of Hands". It was never pressed as a silver. 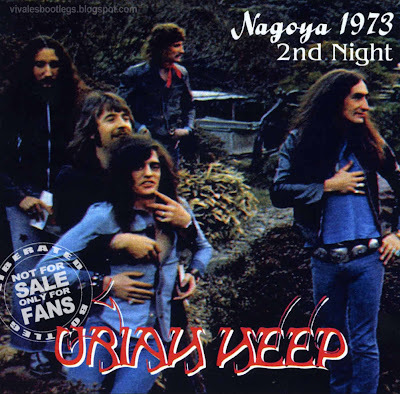 In 2007, the 'Sirene' label released the silver "Nagoya 1973 - 2nd Night" which included the version uploaded here in better quality as they claimed it came from the master tape (again with an incomplete version of "Circle Of Hands").